Guest Post - Becca's Back and Showing Her Emotions! I’m b-a-a-a-ack! And rather than drag things out, I’m just going to pick up where I left off. In my last post, I explained why telling is usually not the best way to go and why showing is preferred. Now we're going to talk about applying this information—how to find those pesky telling parts and show them instead. 1. Look for emotional words: angry, sad, terrified, jealous. In most cases, when these words are written out, they've been used to tell the reader how a character feels instead of showing the emotion. 2. Be conscious of places where something has been explained. In my writing, this is almost always a short sentence that gives a concise summary. Looking at your writing in this way takes practice; when Angela and I crit each others' work, we're always reminding each other to RUE (Resist the Urge to Explain)—a term we unapologetically stole from Browne & King's Self-Editing for Fiction Writers. It may take time, but when you edit with an eye for places where things have been explained, you’ll start to recognize those spots in your writing. 3. Check longer narrative passages to see if something is being told rather than shown. This usually happens when an author is explaining a unique element that the reader is unfamiliar with (such as in sci-fi or fantasy), or when giving background information that affects the current story. 1. Try to get your information across within the context of the present-time story. Instead of stopping to explain that a character has issues with her father, show their dysfunction over breakfast or a heated phone call. This will show the reader that the two characters don't get along without you having to say it and without interrupting the flow of the story. 2. Use sensory details to draw the reader in. For example: Nerien ran down the hall, his feet stinging as they struck the cold stone floor. In the dark, he misjudged the stairway and jammed his toes into the bottom step. Glass shattered in the darkness above. He barely heard it over Ma, screaming for him now. He hurtled out of the stairway and into her room. Here, I could have simply said that he ran upstairs. But I wanted the reader to be sucked in, to feel his fear and take the journey with him. Note the details that involve the reader's senses: the cold floor, his toes jamming into the step, shattering glass, screaming. Whenever possible, use sensory descriptors to make the scene come alive for the reader. 3. Use specific words that lend themselves to the exact mood you're trying to set. In the above example, glass didn't break, it shattered; Nerien didn't enter the room, he hurtled into it; his feet didn't hurt, they stung. 4. Include comparisons that are specific to the character. In the earlier example of Dara on the bridge, the branch parallels Dara's feeling of being trapped and choking. The bridge and river are everyday elements in Dara's life, specific to her. Find the comparisons that are specific to your character and they'll be believable to the reader. Granted, there are times when telling is appropriate, like when you need to state something without going into great detail—something that maybe needs to be said but isn't of monumental importance to the story. Telling can also be used for effect: it was the best of times, it was the worst of times. And of course, if your character's voice calls for short, snappy, telling sentences, then by all means, tell away. Just be sure that if you do choose not to show, you've got a solid reason for doing so. So there you have it. Show-Don’t-Tell, in a nutshell. It may sound abstract and vague at first, but the more you study and search out those spots in your writing, the easier it will get. Need more resources? Check out Self-Editing for Fiction Writers (Browne & King) and The First Five Pages (Lukeman). Keep at it, and happy writing! A big thank you to Becca from me at Wendy's Writing Now and all my blog readers. Becca Puglisi is one half of The Bookshelf Muse blogging duo, and co-author of The Emotion Thesaurus: A Writer's Guide to Character Expression. Listing the body language, visceral reactions and thoughts associated with 75 different emotions, this brainstorming guide is a valuable tool for showing, not telling, emotion. The Emotion Thesaurus is available for purchase through Amazon, Barnes & Noble, iTunes, Kobo, and Smashwords, and the PDF can be purchased directly from her blog. First of all a big welcome to Becca Puglisi from The Bookshelf Muse, (click here to view her fantastic blog) who has kindly agreed to do a guest post for me today and again on Wednesday 30th. Anyone who has visited her blog or read The Emotion Thesaurus will understand why I am excited to read her words of wisdom! Today Becca (all the way from sunny from Florida) will be talking to us about 'Showing Not Telling'. What's Telling and What's Wrong With It? Simply put, "telling" is telling the reader something. The country was in turmoil. My sister has no manners. Angela is a lunatic. You have to get these things across in the story, so what's wrong with just telling the reader? Telling usually explains everything right off the bat. There are certain venues where you want people to explain things as simply as possible: when they're giving directions or explaining a calculus lesson; when you're on the phone with your neighbor who never stops talking and The Walking Dead starts in 30 seconds. But in fiction, telling is a form of talking down to the reader; it doesn't give him/her any credit. At worst, repeated telling says to the audience, "I'm not entirely sure that you're capable of getting the point if I write it with any subtlety, so let me make it really simple." At best, it's a sign that you’re unsure of your own ability to make yourself understood without using the simplest of words. Neither message is one you want to send. 2. Telling oftentimes interrupts the flow of the story. Consider one of the statements from above: Angela is a lunatic. If the author has to explain this in so many words, she has probably stopped telling the story to do so. When she's done, the story will commence, but in the meantime, the pace has jerked to a stop, taking the reader's attention with it. Another something that you want to avoid. 3. Telling doesn't usually draw the reader in because it doesn't include details, emotion, or anything unique. Do you know someone who's a really good storyteller? My husband tells great stories; granted, they're usually embellished for effect, but that's what makes them so interesting—lots of emotion and hand-waving and little details, smattered with weird vocabulary to give it his own personal flair. When he tells a story, people get totally into it. This is what we want to achieve with our writing. What's Showing and Why Is It Preferred? The alternative to telling is showing, which conveys your point to readers in a way that pulls them in and is far more interesting than simply stating a fact. It usually gets more information across, too. Here are a few examples contrasting showing and telling, pulled from my own writing not because I'm convinced of my literary genius, but because, sadly, I have ample telling examples to choose from. · Telling: Nerien was frustrated. · Showing: Nerien jerked upright in bed and reached out, but only felt crumpled blankets and the heave of his own chest. He fell back and groaned into his pillow. Why? Why did he always wake up before the dream ended? In this example, I could have told the reader that Nerien was frustrated. But saying it doesn't evoke that emotion; it merely states it. Instead, showing his state of mind draws the readers in, helps them to feel the character's frustration via the sensation of jerking upright, the feel of crumpled sheets in one’s fist, and the heaving of the chest. Showing is also more active and immediate. · Telling: It was a noisy river. The sturdy stone bridge had no railing. Dara stood at the edge, watching the gentle Supine River turn crazy and wild where the river from Frost Berth joined it. It was particularly loud just below, where a branch had become tangled in the grasses near the pillars. The water gurgled and choked around it. Or was it the branch that was choking? Dara touched the soft scars that marred her upper arm. She felt a certain kinship with that branch. She was often choking these days, but it wasn't water that squeezed her. As this example illustrates, showing isn't used only for emotion. It really could be used in all areas of description, from describing settings and characters to explaining relationship dynamics to strengthening dialogue. Okay. So that’s telling and showing. But how do you identify the telling parts of your story and show them instead? Since this post is getting a little long, these questions will be answered in part two. You're welcome, Becca. Look forward to reading part two on Wednesday. Let me start you off with mine. 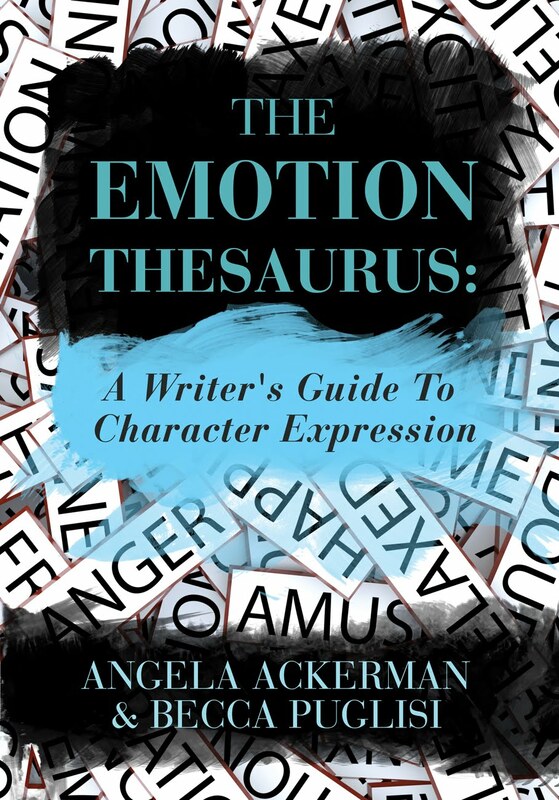 The Emotion Thesaurus by Angela Ackerman and Becca Puglisi is a must if you are stuck with how to 'show' a character's emotion. Alphabetically ordered, the emotions looked at range from 'adoration' through to 'worry'.The book covers: physical signs, mental responses and internal sensations. I am thrilled to tell you that Becca has kindly agreed to pop over to my blog on Monday and Wednesday of next week for a guest spot. She will be talking about 'Showing Not Telling'. Thanks, Becca - I can't wait. This will truly be words of wisdom from the expert! My second choice is one I have mentioned on my blog before. The Writer's Treasury of Ideas by Linda Lewis was the first writing book I bought. I think it is great for anyone starting out on their short story journey. If you read this, you will never be stuck for ideas again. 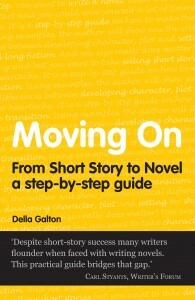 Next comes this great little book by the prolific short story writer, Della Galton. 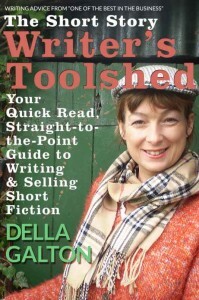 She certainly knows her stuff and it is a 'straight to the point guide to writing and selling short fiction'. I would say this is another must for new writers wanting to break into the magazine market. Finally, my latest buy (also by Della Galton). This wonderful book helps you make the transition from short story to novel. I am hoping that if I read it now, it might spur me on to making a start on something longer. Watch this space. Today, 21 January, is officially the most depressing day of the year, or so everyone on the radio and in the papers keep telling me. Apparently psychologist Cliff Arnall came up with this date after working out a scientific formula based on the length of time until next Christmas, holiday debt and the likelihood of giving up on New Year's Resolutions. Add to this short day length, bad weather and illness and it's not surprising that many people would like to curl up in their duvet and not come out. So how do I feel? Sorry Mr Arnall but actually I feel ... good. I also feel even happier knowing that I am not a statistic! To cheer up anyone who, like me, had a misspent youth in the eighties, the following clip is from the original music video for New Order's 1983 song 'Blue Monday' back in the days when guys looked cool in make up (or so I thought back then). What's making you feel good (or blue) today? Guess What The Bad Dog's Done Now! My step dog Bonnie has just given me the fright of my life! Let me set the scene. At the weekend we at last bought ourselves a nice new flat screen TV (being one of the only people to still have a huge old box-style one). This neat little item of technology sits in our living room - the living room from which Bonnie is now banned when we go out! Readers of this blog will know that Bonnie loves sitting on the settees, especially when she is wet or muddy. We made the 'No Bonnie In The Living Room' rule after the failure of the settee barricades and in preparation for when we invest in new settees. Having caught Bonnie out with our Bonnie Trap, we now make sure that our bad dog is shut out of the living room and the door is shut, whenever we go out. Anyway, this afternoon, I popped out to the post office. When I got back, I was shocked to hear talking in the living room even though I had left the house empty. My immediate thought was buglers. I wasn't sure what to do so crept into the hallway and peeped through the crack in the living room door (which was partly open). Through the gap, I could see that the television was on and laying on the settee was Bonnie - watching the snooker! Beside her was the remote. I don't watch TV in the daytime so she must have sat on it and turned it on. Of course, I had forgotten to shut the door when I went out. Needless to say - her step brother Bobby was on the other settee watching too. The good news is another sale to fiction Feast. When Did You Last Handwrite a Letter? I recently made my thirteen year old step-son write a thank you letter for a Christmas present he had received. As a teacher, and being pernickety about these things, I made sure he showed it to me before he sent it. It was fine, if a bit brief, but it made me think about the writing of letters. Do you know, I couldn't even remember the last time I wrote a proper letter. I don't mean one sent via email or even one typed on the computer and I certainly don't mean a letter to the bank or a covering letter to go with your short stories - I mean a good old fashioned 'I just had to write and tell you about...' type of letter - hand written of course. Anyway, I was interested to read that the art of letter writing is being reintroduced into the curriculum in secondary schools by the Government. This is due to worry over their growing reliance on texting: apparently thousands of teenagers are struggling to write letters with out using 'text speak''. Actually, when I think about it, I realise that, for me, the demise of the handwritten letter is actually a relief - I never did like writing them! Most aspiring writers at some time or other will either have bought or subscribed to 'Writing Magazine' the bible for both established and wannabe writers. If you haven't, give it a read - it is packed full of advice for every writer. Anyway, while browsing some blogs (when I should have been writing) I came across a fantastic resource on Joanne Phillips - A Writer's Journey blog. Joanne is a self- published author of two books: a novel 'Can't Live Without' and a collection of short stories on kindle 'A Life Unpredicted'. She also loves indexing! This is great for us hoarders who can't bear to throw the magazines away, yet lose track of what was in them. With us in mind, she has compiled an index for Writing Magazine. "Every year I compile an index for Writing Magazine – the UK’s best magazine for all things writing. I love writing, and I love indexing, so I do this purely for fun and to provide a resource for fellow fans of the magazine. I always keep my copies, and often want to refer back to an article which has stuck in my mind. Now you don’t have to scramble though 12 editions – just download my index and you should be able to find exactly what you need." Thank you so much, Joanne for this brilliant resource - I for one will find it invaluable. What is a pocket novel? This is a post in answer to Marianne's question about pocket novels. Marianne, by the way, is the author of two books The Blue Suitcase an historical novel set in Germany during World War 2 and Food of Ghosts, a crime novel with a feisty heroine set on the island of South Tarawa. 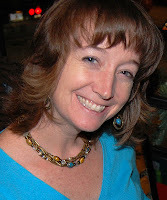 She is also the owner of the excellent Writing Classes online writing course which set me on the road to writing! In essence, a pocket novel is a novel that can be read in a day and is around 50,000 words. It is usually romantic and can include a range of genres. To quote form The Pocketeers they are 'a quick and satisfying read'. As I do not write Pocket Novels myself, I am not an expert but there are other bloggers who are! Sally Quilford offers excellent information regarding pocket novels on her blog. She is also a 'Pocketeer'. The Pocketeers are a group of writers who specialise in the writing of pocket novels. Their website is a must for anyone thinking of moving on from short stories to something longer. The two main outlets for pocket novels are My Weekly Pocket Novels and The People's Friend Pocket Novels. Also, take a look at Kate Jackson's excellent post on her blog where Maggie Seed the editor of My Weekly Pocket Novels gives a 5 step plan to writing a successful pocket novel. This is just the bare bones and if anyone has anything to add, please do. Hope this was helpful Marianne. One day I may be brave enough to try to write one! 2013 has started well for me with my story 'Dancing Queen', with its lovely illustration, published in the People's Friend and then today another sale to Woman's Weekly. As the new year starts, it is inevitable that my thoughts are turning to what I want to achieve this year with my writing. My gut feeling is not to run before I can walk and get another year of writing short stories under my belt to get more of a feel for what type of writing suits me. If I find that I create a character I like so much that I want to extent their journey into something longer, I shall go with it and see where it leads. What I do know is that two years ago, when I was teaching English in a little private primary school, I had no idea that this was what I would now be doing - and I wouldn't change it for anything.